Ransomware is one of the most dangerous malwares that prevents users from accessing their devices, applications, or files, and asks them to pay a ransom to regain access to their systems. If you want to know how Ransomware affects your data, then let’s dig deeper into this matter. In this article, we’ll talk about different types of ransomware and how to protect your data against them. Ransomware can infect your system in several ways, but one of the most common ways is through malicious spam or mail spam; it can be an unsolicited email that is used to deliver the malware. A malicious email often includes booby-trapped attachments, which contains the ransomware in it. Another method through which users get ransomware is malicious advertising. Cybercriminals often use online advertisement to distribute malware without any user interaction. While browsing the internet, many users often get redirected to an unknown server without even clicking an ad. These servers collect your system information like IP address or location and then deliver the malware to it. This malware can be ransomware. Many ransomware can affect your system or application, but there are three main ransomware types that are considered as dangerous. It is considered as the most hazardous malware because it snatches your data files and encrypts them, and then ask for payment to decrypt your data. Once cybercriminals lock your system, you cannot access your data. Scareware doesn’t affect your system, it shows a pop-up on your screen displaying malware has been detected, and you’ll have to pay to get rid of it. If you’ve installed a legitimate cybersecurity program, then you can quickly get rid of it. 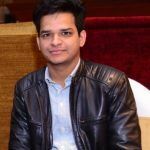 How Office 365 is a Major Target of Ransomware? It is a known fact that cybercriminals have always targeted Microsoft’s products and services for decades. As Office 365 has become the fastest-growing solution for organizations, it has become a primary target of cyber-attacks in different ways. We all know how organizations have started moving towards Office 365 for better productivity and collaboration. Most of the critical data of an organization, such as emails, tasks, appointments, sheets, etc. are stored in Office 365. Though Microsoft provides integrated protection against ransomware, you shouldn’t entirely depend on the internal security to prevent your data from ransomware. Microsoft already provides some integrated protections for Office 365 against ransomware. However, many organizations are still being affected by ransomware threats. There are several reasons behind it, such as when a user visits a website affected by ransomware or open an email attachment affected with ransomware from their corporate account. But, if you act on time, your data can be protected, or data can be saved. Below we have mentioned some methods that can be used to to be safe against ransomware. MAPS is a cloud-based service that offers malware protection with the help of cloud-delivered malware-blocking decisions. It enables clients to report key telemetry events and suspicious malware queries to the cloud. If you’re using a Windows operating system, then the best antimalware solution is Windows Defender. Keeping it up-to-date can block ransomware from affecting your organization’s data. Also, you’ll get notified whenever it detects malware in your system so that you can remove it manually as well. Before opening an email or attachment, make sure it is from a reliable source. Check for phishing indicators, especially if it has an attachment. Usually, ransomware attachments are exe, Js, VBS, Ps, or other Office documents that support macros .doc, .xls, or .xlm. So, if you receive any such email from an unknown source, do not open it. Keep your Windows and other software up-to-date, as the latest version will support new functionalities and features which can help you prevent security threats. For instance, the latest version of windows, i.e., Windows 10 already include protection against ransomware by default. Also, the latest web browser of Microsoft has SmartScreen enabled that prevent users from downloading malicious files or visiting known malicious websites. Microsoft always recommends its users to backup data on a regular basis. Also, the Microsoft Malware Protection Center shared a post on “Backup the best defense against locked files.” In this post, they mentioned various ways to backup data, such as by enabling System Restore, manual syncing method, or by manually moving files to a separate drive. How to Recover Data After Ransomware Attack? 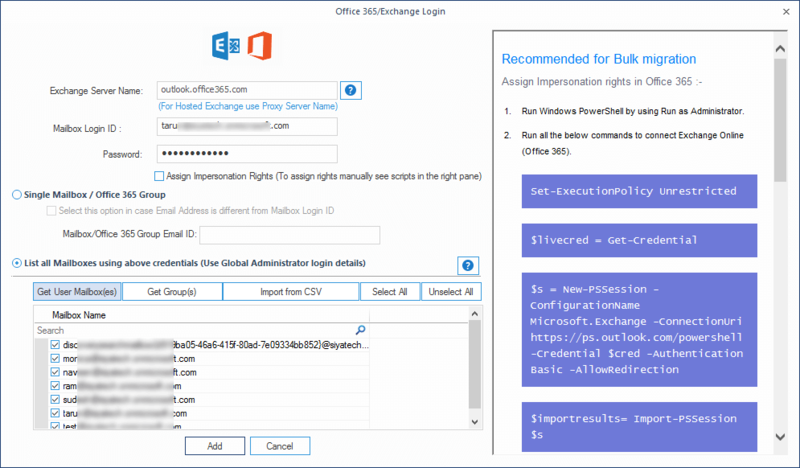 Ransomware in Office 365 can easily spread through ActiveSync and OneDrive Sync. Here, we have mentioned some advanced options that can help you secure your Office 365 data. When your system is attacked by ransomware, the first thing you need to do is immediately remove the system from the network. Disconnect ethernet and Wi-Fi connection on the system. To prevent the system from synching any ransomware-encrypted files to cloud services, disable the sync services like OneDrive Sync or ActiveSync. If any sync service is enabled, there are chances that they will overwrite your files. If you still want to recover critical data from the ransomware affected device, then run a complete scan of the system with genuine security software. 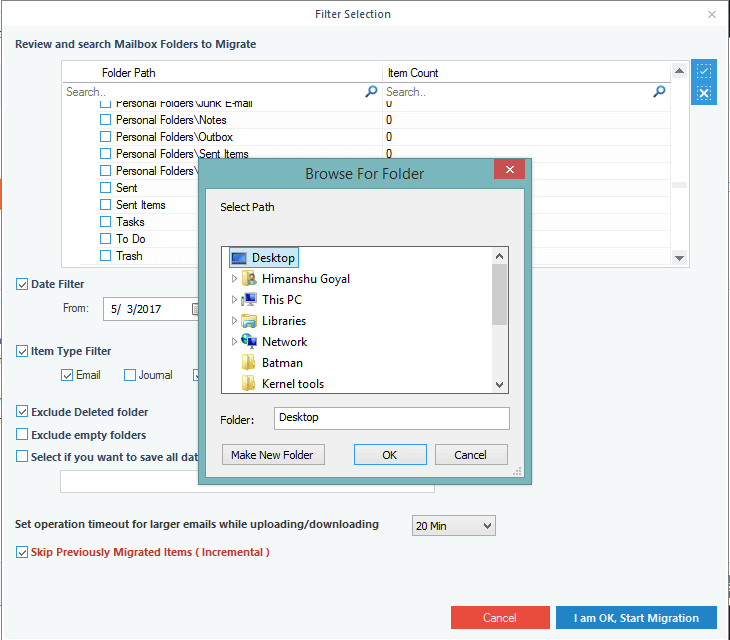 You can also try Microsoft’s malicious software removal tool to scan your computer. Implementing on-device recovery might help you recover your data. If you have backed up your files to OneDrive for business, then you might be able to recover your data without any ransomware affected files because OneDrive for business saves your data with version histories. So, access OneDrive for Business from a system that is not affected by ransomware, select a file, then choose “Version history.” The list of saved versions of the file will be displayed with modification dates, find the earlier version of the file, and then restore it. However, version history of OneDrive has some limits. For example, it is best suited for Office documents like Word, Excel, and PowerPoint files. But, it doesn’t keep the version history for other applications. So, you wouldn’t be able to find version histories of AutoCAD, Photoshop, or video files. If you’ve backed up your data, then you can quickly restore it. But, before restoring your data, make sure you get rid of the ransomware. To start again with your data: first, erase all the previous data from it, reinstall all the apps, and then perform the restoration process. However, if you haven’t backed up your data, then you wouldn’t be able to restore it. Also, there is no manual method to backup data after a ransomware attack. So, what you should do in such a situation? It’s better to be prepared against ransomware attacks on the cloud. Kernel for Office 365 Backup & Restore can help you quickly backup your data in healthy condition. To get a better understanding of Kernel for Office 365 Backup & Restore, let’s have a look at its working process. 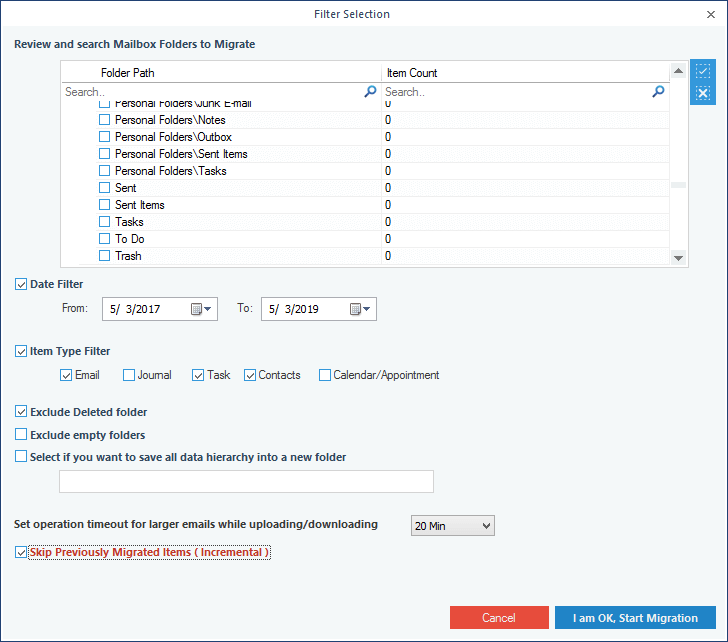 On launching the tool, you’ll see two options: Backup and Restore. Select the Backup option. Note: If you want to backup multiple mailboxes, then you need an Office 365 account with administrative privileges. Now, add the Office 365 account for which you want to create a backup. 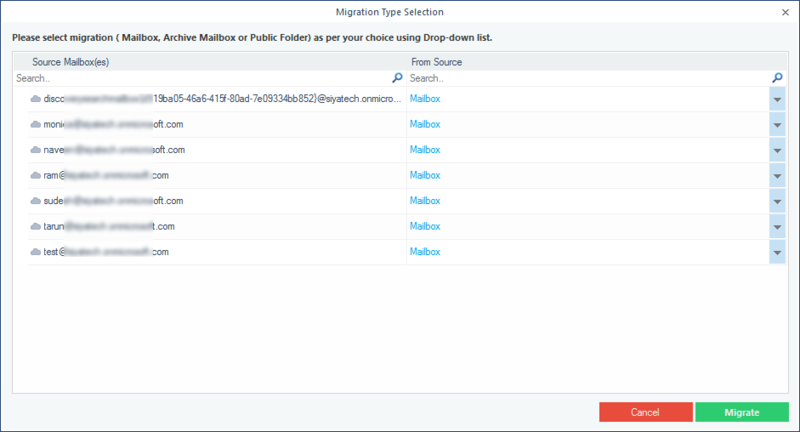 Select “List all mailboxes” to display all mailboxes of your Office 365 account. It will take a few minutes to completely backup your mailboxes. Once it is done, you’ll receive a notification on the screen. 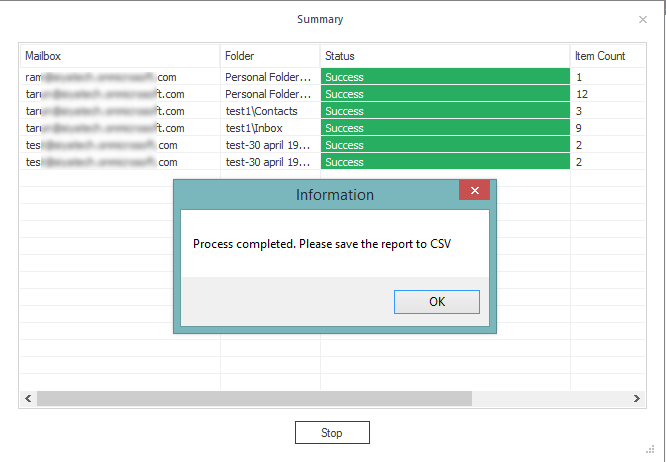 Now, you can save this report in a CSV format. To restore data to Office 365, you can use Restore option of Kernel Backup & Restore tool. 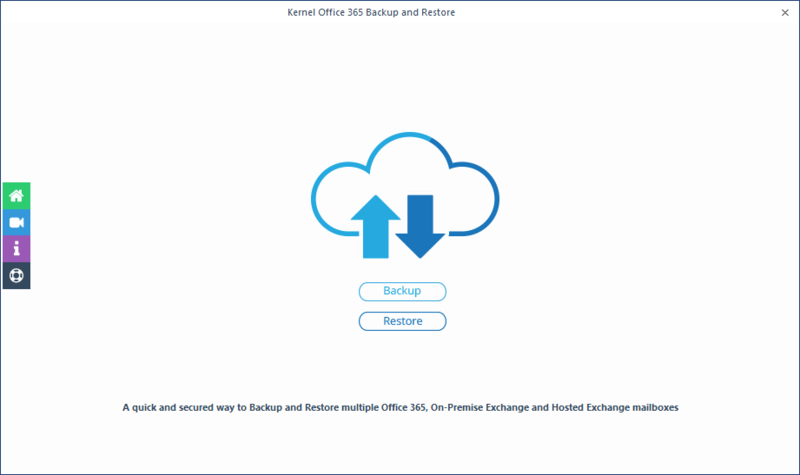 Also, there are many other benefits of Using Kernel Office 365 Backup solution. Ransomware can deeply damage your Office 365 data, which is very crucial for most organizations. So, taking vital steps to protect your system from ransomware is necessary. So, secure your data with Office 365 backup plan.